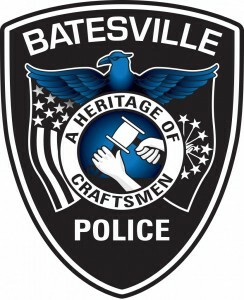 The School Resource Officer Program was established in 2008 in the Batesville School System as collaborative effort by the Batesville Police Department, educators, students, parents, and the citizens of Batesville. The goal of the School Resource Officer program is to provide safe learning environments in our city’s schools, provide valuable resources to school staff, foster a positive relationship with our city’s youth, and develop strategies to resolve problems affecting our youth with the goal of protecting every child so they can reach their fullest potential. SROs are sworn law enforcement officers who work closely with school administrators, staff and students. SROs have the same responsibilities as police officers: ability to arrest, respond to calls for service and make traffic stops. Tasks include mentoring students, conducting law, drugs, safety, crime prevention, and violence presentations. A Resource Officer’s proactive approach in the schools prevents and deters crime and violence. Officer Jamie Straber has been employed as a Batesville Police Officer for six years and Batesville’s School Resource Officer for two years. Officer Straber enjoys teaching RAD, a self-defense class, to the community. During the summer, she takes part in Batesville Police’s Bike program.